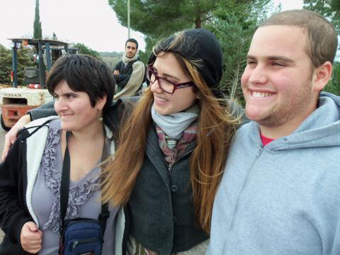 During the last three years, Shorashim, in partnership with JUF, has expanded its regular Israel trip programming reach to young adults with special needs. 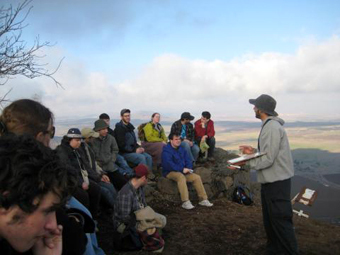 Shorashim started by working with KOACH to run a Taglit-Birthright Israel group for 18 to 26 year olds with Asperger's Syndrome in 2008. The trip is now in its third year and is being spearheaded by KOACH's Associate Director Elyse Winick and Shorashim alum and Chicago native Darin Argentar. From the first year, this group has soared in popularity, and now draws a waitlist. The 20 young adults who participated in the most recent trip had an amazing time. If you're interested in learning more about their journey, check out their blog. 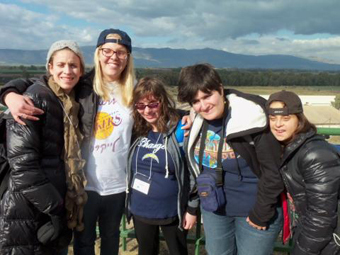 Word of this trip spread and Shorashim was contacted by a group of parents from Los Angeles who wanted their 18 to 26 year olds with special needs to have a similar experience on a Taglit-Birthright Israel trip. "The trip went really, really well. It exceeded our expectations," said Elizabeth Cohen, a parent of a participant and one of the trip's organizers. "It was a great experience for the kids. 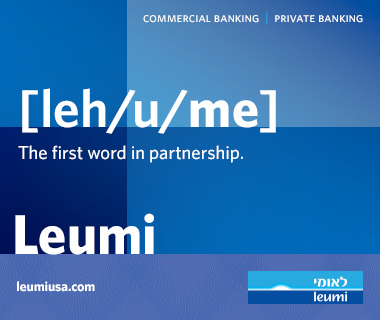 They got to do what their peers do, and they made a connection with each other and Israel. Her son Zachary had a great time. "It was fun seeing all the sites and seeing my family in Israel," Zachary Cohen said. "I liked all of it. It's a fun place to see." A special needs expert, Lee Chernotsky led the trip. "It was the journey of a lifetime," Lee said. "It was a trip that fostered growth and independence for all of our participants, and raised awareness on everything we can do, instead of what is challenging." Lee met with each participant several times before the trip to set goals. He said every goal of every participant was met. "We did everything from a disco cruise on the Kineret to crying at Yad Vashem," Lee said. "We learned a tremendous amount about ourselves. We will all be forever changed by the experience." They are not the only ones. During the trip, the special needs group had an evening activity with one of the Chicago buses. "It was such an amazing experience for each and every one of us," blogged Lauren J. "We learned that our groups weren't so different from each other after all. We all saw the same sites and cities and had the same experiences, just at a different pace. Most importantly, we are all Jewish, and are all here to embrace our heritage and learn about our roots." To read more about the LA trip, check out their blog.